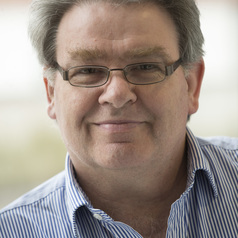 Mark Hart is Professor of Small Business and Entrepreneurship in the Economics, Finance and Entrepreneurship Department at Aston Business School and Deputy Director of the UK national Enterprise Research Centre (ERC). He is Associate Director of the Aston Centre for Growth which co-ordinates all SME facing engagement activity at the university. He is one of the Programme Directors and Academic Leads of the Goldman Sachs 10,000 Small Businesses Programme in the UK. He also serves on the Growing Businesses Board of the Greater Birmingham and Solihull LEP. His work on High-Growth Firms in the UK since 2008, resulting in the NESTA Vital 6% report in 2009, has attracted considerable attention from policymakers and practitioners in the private sector. His research in the ERC focuses primarily on firm dynamics and job creation and the role of fast-growing firms in driving growth and productivity. He also co-directs the Global Entrepreneurship Monitor (GEM) UK project which is part of a global research project into entrepreneurial attitudes, aspiration and activity. He jointly publishes the GEM UK Annual Reports and works closely with BEIS Analytical teams on the GEM datasets.